You’re in the party rental business and you’ve seen a moonwalk for sale that you think will help your business. Before you buy anything, you need to see to it that you’re buying from the right inflatable manufacturer. The point is no matter what you need, you want to be sure that the firm you’re dealing with has the right credentials. And there are a few things that you need to look for that will tell you if you should proceed. Find out if they will custom build for you. That inflatable water slide for sale might be just the thing for one of your clients, but something a little different will work for another event. You need to find a manufacturer that will get that custom job done in just a few weeks. And those people are right here at junglejumps.com. These are the folks that will let you pick the color of any product on their website as well. When you need the best inflatable manufacturer that will listen to what you need for your party rental business, you’ll find that right here. Top quality 18.5 oz vinyl material. It stands to reason that whatever you buy for your party rental company will need to be tough. The inflatables for sale on the market to day are only good to a party rental company like yours if they stand up time and time again to the rigors of use. Products that are double and quadruple stitched. Again, this leads to a toughness and durability that can’t be beat. 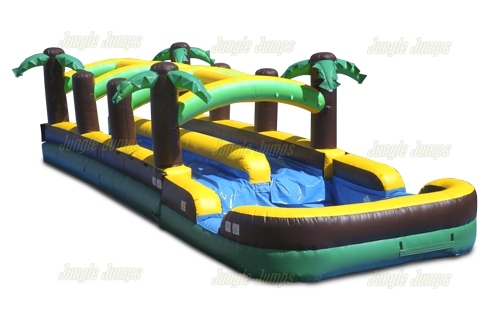 You need to find these things when you’re looking for a bounce house for sale and those are the very features that you’ll get dealing with junglejumps.com. You need to be sure that your party rental company has the best of everything and that means that you’ll need to find the best moonwalk for sale. 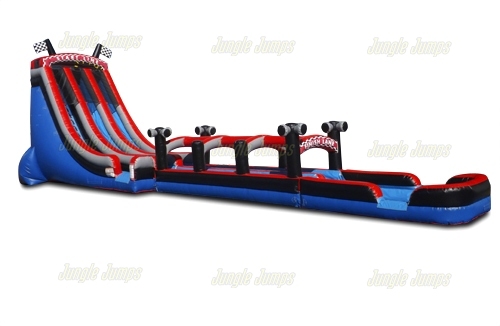 Now of course to do that, you need to understand how to find the best inflatables for sale. In short, you need to buy from the best manufacturer. There are things that you need to look for when you want to buy a bounce house too. First and foremost is the warranty. Where ever you rent these inflatables out to and no matter what kind of event they will be used at, they need to be durable. More than that, they need to be backed up buy the firm that sold them to you. Even the ocean slide with pool is best served when there’s a good warranty involved. You clients will enjoy themselves and you’ll get piece of mind. Remember that when you start out looking for any inflatables that can include a moonwalk for sale, you need to look at the warranty as well. 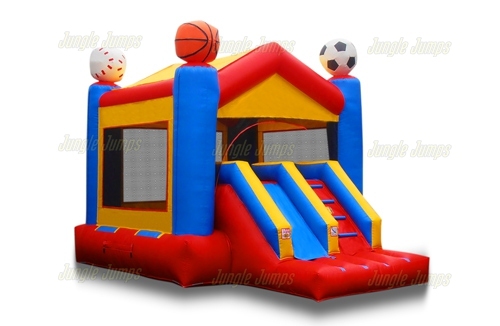 Whether you’re looking for the best moonwalk for sale or to buy a bounce house, you need to be sure that the inflatable manufacturer that you select has all the right credentials. Remember that the best indication is their product that these people sell. And when you wean to be sure that you’ve go the absolute best company that will sell you only the best inflatables, you need to be sure that they use the right material as well. Say you’re looking for a Jungle Monkey because one has been requested for a children’s party that you’re working on. You need to be sure that the material used is the best that you can find, that in fact it is the high quality 18.5 oz vinyl material that is used here. The best of these inflatable manufacturers will not only have a great selection but they also need to use durable material in any moonwalk for sale that they sell. Only people in the party rental business won’t panic when someone says they’ll need a Jungle Monkey for a children’s party that is coming up at the end of the month. These are the professionals that will know exactly where to go and how to get the best in all the inflatables for sale that their customers might need. The best inflatable water slides on the market. They only want the best most durable construction when it comes to these and they want to be sure that a product like the Slip and Slide will have long lane and some great colors to choose from. A Great Warranty. 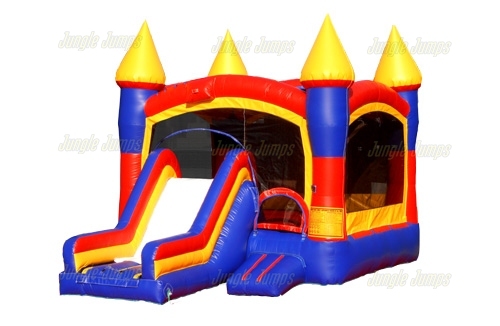 When an inflatable slide comes with a great warranty, party rental companies take notice.